No matter where you’re coming from, you’ll find a little bit of everything in Abilene with a special West Texas twist. The City of Abilene, Texas, is located approximately 150 miles due west of the Dallas/Fort Worth Metroplex. We’re situated in west-central Texas near the geographic center of the state. Adjacent to Interstate 20, Abilene is the center of a 22-county area commonly referred to as the Texas Midwest or the Big Country. Abilene serves as the county seat for Taylor County, one of 254 counties in Texas. Taylor County has a current population of about 136,000, of which 121,721 live within the Abilene city limits. Described as “the Future Great City of West Texas,” Abilene was established in March 1881 upon the completion of the Texas & Pacific Railroad. Abilene’s civic progressiveness and its logistic function as a regional center for distribution, commerce, industry, transportation, and education provide an assortment of lodging, dining, cultural, and shopping opportunities typically found only in much larger cities. Abilene has the exclusive claim of being the first city in Texas to adopt the sales tax for economic development. With the passage of a ½ of 1 percent local retail sales tax, the Development Corporation of Abilene (DCOA) was formed in 1989 as a Type A municipal economic development corporation. Annual proceeds from the ½ cent sales tax have grown from just under $4 million in 1990 to over $11 million in 2018. Since 1990, the DCOA has provided incentives to sixty private sector enterprises, four state entities and one federal facility. Overall, the DCOA has helped existing and new employers in the creation and retention of several thousand jobs and hundreds of millions of dollars in new investment in our community. 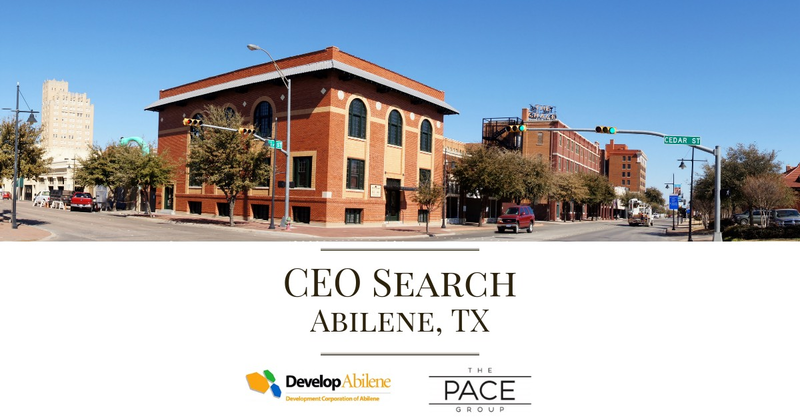 If someone is looking to expand or relocate a business, Abilene is the perfect place to start. Strong infrastructure and an excellent workforce coupled with a “business-friendly” environment make Abilene, Texas the logical choice for a new venture. The City of Abilene contracts with the DCOA annually to budget and administer 4A sales tax revenues, negotiate incentive packages, monitor assistance agreements for compliance, and manage DCOA’s real estate holdings. The DCOA contracts annually with the City of Abilene for Human Resources, Risk Management, and Finance/Accounting services. DCOA staff prepares and manages the annual budget, negotiates incentive packages, presents items to the DCOA Board of Directors and Abilene City Council (as necessary), monitors assistance agreements for compliance and manages the DCOA’s real estate holdings. Abilene Industrial Foundation (“AIF”): As an affiliate of the Abilene Chamber of Commerce, the AIF works un- der contract for the Development Corporation of Abilene. The AIF is responsible for marketing the city’s economic development program, providing site selection assistance for new businesses, managing the business retention/expansion and serving as a liaison between education and business to help shape the Abilene workforce. Abilene Chamber of Commerce: Provides military affairs and advocacy in conjunction with Dyess Air Force Base, the largest employer in the region. Texas Tech Small Business Development Center: The SBDC provides business counseling, technical assistance, training workshops, and business plan development for small businesses. Through the SBDC, the DCOA strives to promote growth, expansion, innovation, increased productivity, and improved management for small business. Abilene Regional Airport: The Airport’s Business Development Management Program markets the Abilene Regional Airport amenities and upgrades using a variety of medium including a digital media campaign, television, radio, billboards, individual events, sponsorships, publications, and social media promotions. They also contract for consulting services to develop an appropriate land use plan for the airport and immediate area. BE in Abilene: BE in Abilene is a local entrepreneurship challenge grant program administered jointly by the AIF, SBDC and Abilene Christian University to encourage aspiring entrepreneurs to advance to the next step in creating new jobs and investing new capital in Abilene. The DCOA provides the grant funds via an annual competition where small business owners can apply and work through a multi-step process designed to help them develop as Abilene employers and community contributors. Together with the Board and key partners, develop and implement a proactive strategy for economic development and competitive incentives that maximize job creation and economic opportunities. This includes: using best practices and extensive research to develop real estate offerings; infrastructure that encourages job creation; development and finance programs; business incentives and other identified needs. The goal is to establish a world-class program and gain the attention of key internal and external decision makers for potential projects. Manage the extensive real estate holdings of the DCOA in a manner that maximizes job growth. Provide timely and relevant information on the best practices and competitive position to the DCOA Board that allows members to make strategic decisions on behalf of the organization’s stakeholders and the citizens of Abilene. Represent the DCOA on relevant boards and committees and make recommendations to other organizations that help achieve the City’s economic development goals. Oversee the work of the DCOA staff to achieve the organization’s goals. Through consultation with the Board, develop incentive packages with businesses considering Abilene for job creation projects. Serve as the public spokesperson for the DCOA to ensure a positive relationship with elected officials, relevant boards, organizations, media and the community at large. Work with City of Abilene officials on development services to ensure timely approvals and seamless processes for DCOA clients which includes coordinating direct access to decision-makers. Serve as a “Client-Director” for AIF in economic development program activities and marketing efforts. Create operating and development budgets that ensure financial stability and prudent uses of DCOA funds. Ensure compliance with all federal, state and local laws and regulations. Fulfill any special assignments or duties as directed by the DCOA the Board of Directors. Direct appropriate talent and resources to ensure workforce development meets current and future needs. IF YOU HAVE ANY QUESTIONS, ARE INTERESTED IN THIS POSITION, OR WOULD LIKE TO MAKE A RECOMMENDATION PLEASE CONTACT US. WE TREAT OUR CANDIDATES AND CLIENTS WITH THE HIGHEST LEVEL OF RESPECT AND ANY INFORMATION RECEIVED WILL REMAIN CONFIDENTIAL.